"A well prepared, thought out, funny and VERY entetaining performance for kids and adults. Thanks for making Jack's 5th birthday one to remember! You're the best!" How To Have a Party Your Child Will Remember Forever -- Guaranteed! My show is highly interactive and this is extremely important because, as you know, children don't want to just sit and watch a show, they want to be actively involved. 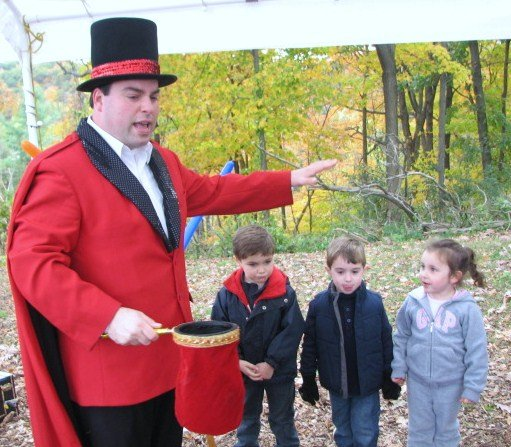 That's why I utilize more audience participation than any other children's entertainer, and regardless of which party package you choose, every child at the event will get a special magic surprise they can take home. "We have been to so many parties at Chuck E Cheese, Jeepers, bowling, etc. This sparked their imagination and made it come alive! Thanks!" 40 minutes of belly laughing magic. The "Standard Show Package" is tailored to the specific age group or for a mixed age family audience. This show comes complete with Hocus Pocus the Magic Bunny, your birthday child being the star my show, plenty of audience participation, plus each child goes home with a special magic trick that is taught by Melvin during the show. 60 minutes of belly laughing magic. The "Deluxe Show Package" is tailored to the specific age group or for a mixed age family audience. This show comes complete with Hocus Pocus the Magic Bunny, your birthday child being the star my show, plenty of audience participation, plus after the magic show all of the kids take part in a magic workshop where everyone learns to do amazing magic. 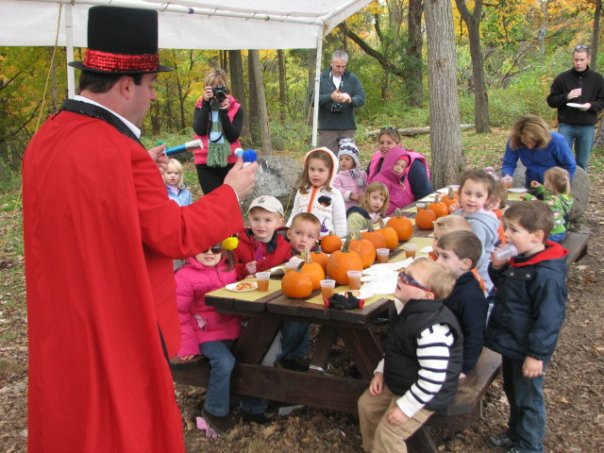 Your child and their guests will learn how the tricks work and how to perform them like a pro. All of the kids go home magicians with their new magic tricks! Each child also receives a special magic trick to bring home too! The "Super Deluxe Show Package" includes everything in the "Deluxe Show Package"" plus all of the kids receive magic themed goodie bags full of fun toys so they remember the party for days. The birthday child also receives an official Melvin the Magnificent Magic kit, each one packed with magic for the specific age level. For the Grand Finale, the birthday child will float in the air right in your home! They can be hard to find, especially if you only need a few and not by the dozen. They are just $1.49 each. The classic black wand with white tips, just $2.00 each. Goodie bags are available for purchase for just $3.00 each. Buy only how many you need, and I bring them the day of the party. Goodie bags all come with a magic trick, magic wand, Happy Birthday pencil, yo-yo, floppy flyer, frog finger puppet, mini-popper, spiked ball, and more! "Everyone had a GREAT time and really enjoyed the show! Thanks!" As you might imagine, weekends are extremely busy and fill up fast. As one of the busiest family show professionals in the Capital Region, my calendar can fill up weeks in advance. So I urge you to e-mail me or call me NOW -- 518-831-9222 -- why risk disappointing your child?